Moving mobility into the 21st Century. Compact Gear Reduction Motor Drive. Compact: 14 cm outer mounting ring, 11cm long. Heavy duty: Supports 1000 lb loads. 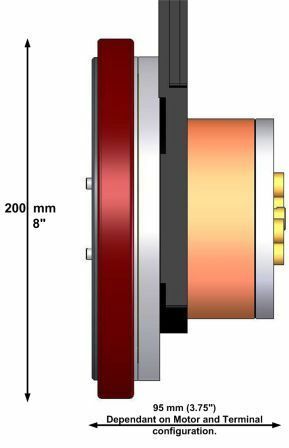 High Efficiency: Iron-coreless DC motor. Gear Reduction: 25:1 redundant hypocyclic. 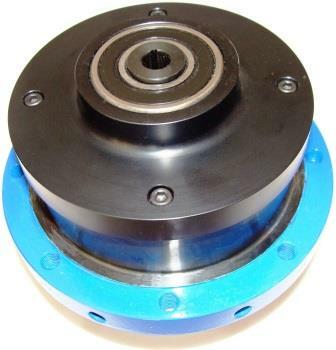 Replaces transaxle wheel designs and axle-based electric wheel assemblies. Compact: No axle, no transaxle required. Modular: Bolt on one or more Cycogs' Wheel Assemblies. Updates: New consolidated gear and bracket design in 2014. Speed: Similar to fast walking. Copyright© 2004-2019 Cycogs, LLC. All rights reserved.